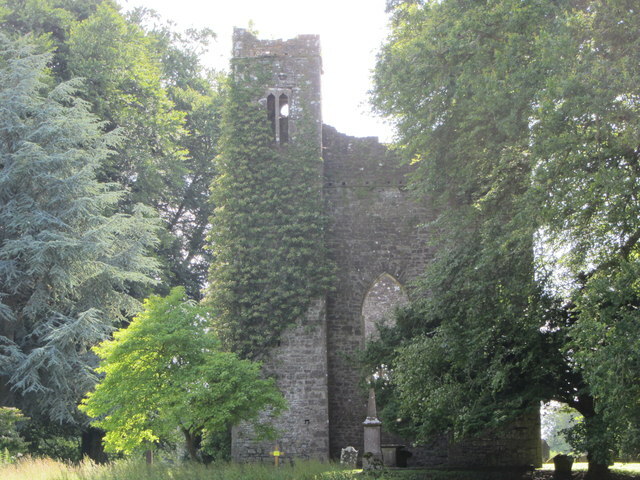 Built in the 1440's, and named for St. Nicholas of Myra, this is the estate church of Dunsany demesne, made after and slightly larger than the also-ruined church on the Killeen estate. Although the main body is roofless, it is still consecrated and a wedding was celebrated there in the 2000's. There are stairs in a tower, and a residential space at the rear. More information is available in Wikipedia.